Microsoft technologies never stop changing. Our roadmaps put critical facts about current and future versions of 100+ Microsoft enterprise products and services at your fingertips. 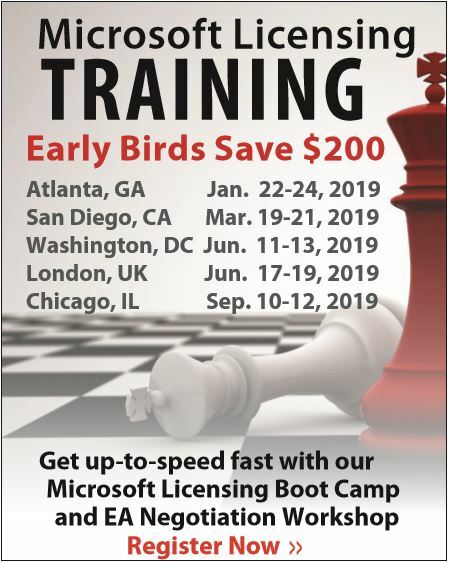 Our intensive Microsoft Licensing Boot Camps and EA Negotiation Workshops give you the knowledge and understanding you need to optimize your Microsoft agreements. 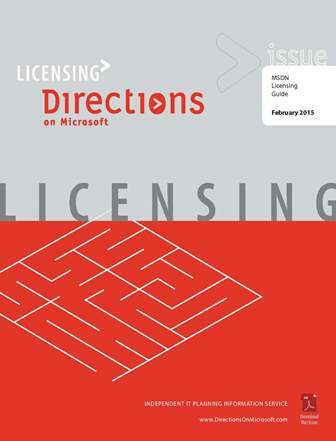 A continually updated wiki of Microsoft product licensing rules lets you navigate the Microsoft licensing maze and zero in on answers to your questions with minimal effort. This report provides a concise explanation of the not-so-obvious risks senior management needs to understand before embracing Azure. Windows Server 2016 may increase your Microsoft licensing costs. Find out how and what you can do about it.